The trend of tourists thronging water landscapes in and around Mysuru has just started with the slow arrival of annual rains. As the monsoon picks up, tourist visits to such spots reaches its peak. Mysuru and its neighbourhood are home to many such sight-seeing places which are considered to be ideal tourist spots, especially during monsoon. This Weekend Star Supplement introduces a few places which have opened its arms for tourists to spend their brief holidays amidst the serene and tranquil atmosphere. 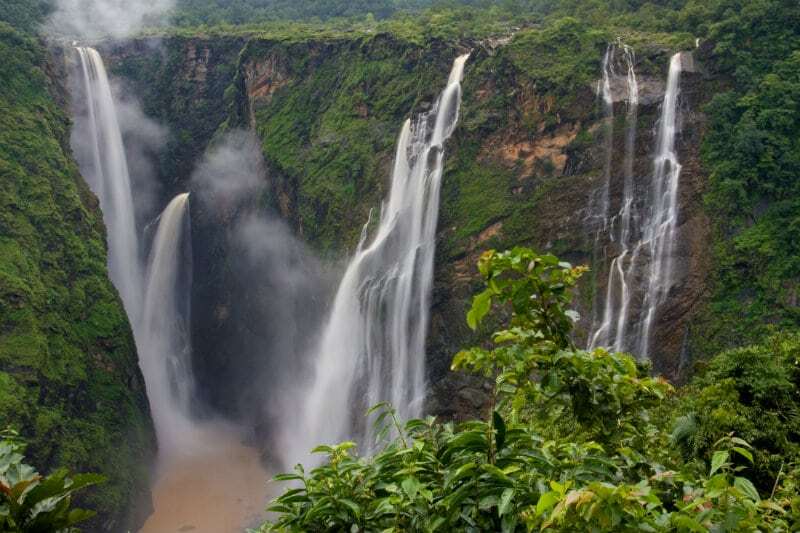 Jog Falls is the second highest plunge waterfall in India located near Sagara in Shivamogga district. 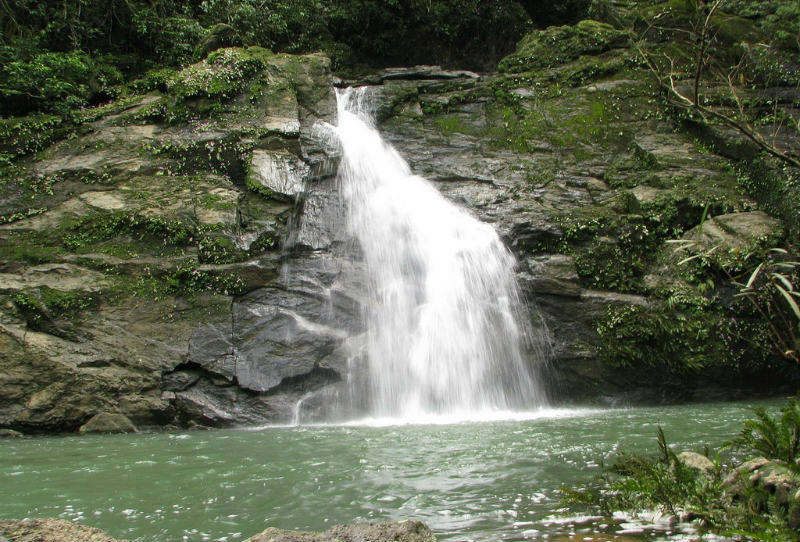 It is a segmented waterfall which, depending on rain and season, becomes a plunge waterfall. The falls are a major tourist attraction and is ranked 13th in the world. Jog Falls is also known as the Gerusoppa Falls or Jogada Gundi, on the Uttara Kannada and Sagara border. 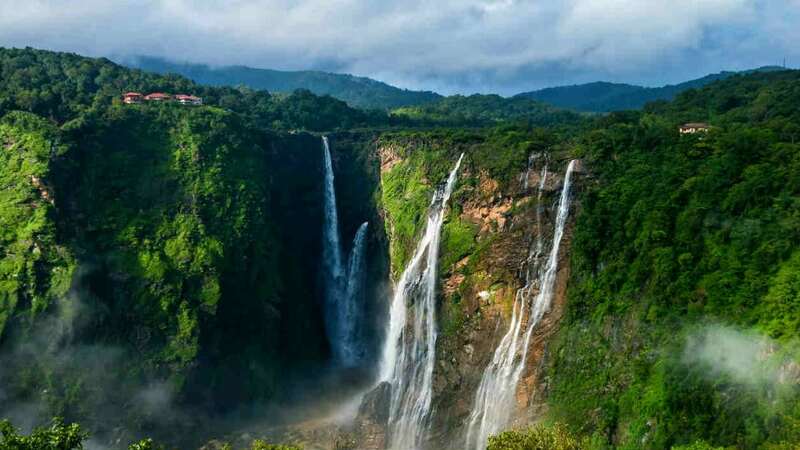 Jog Falls is created by the Sharavathi River dropping from a height of 830 ft, making it the second-highest plunge waterfall in India after the Nohkalikai Falls with a drop of 1,100 ft in Meghalaya. 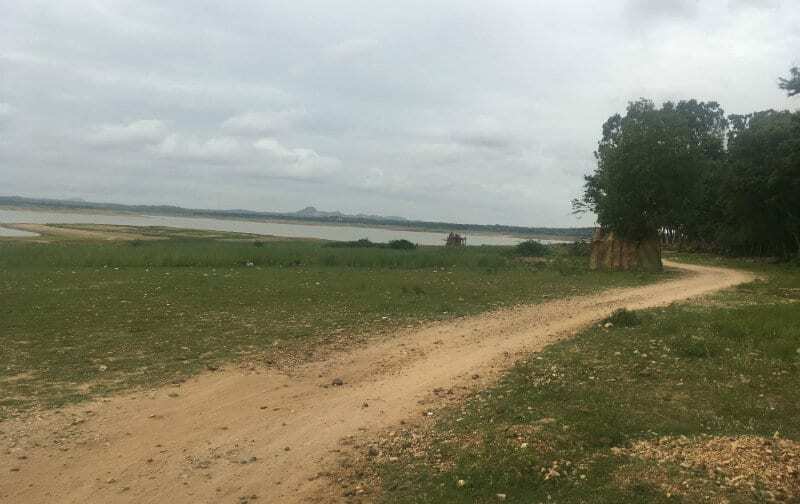 Sharavathi River rises at Ambutirtha, next to Nonabur, at Thirthahalli and takes the north-westerly course by Fatte Petta, receives tributary Haridravati on the right below Pattaguppe and the Yenne Hole on the left above Barangi. On arriving at the frontier, it bends to the west, precipitates itself down the falls of Gerusoppa, and passes that village and enters the sea at Honnavar in Uttara Kannada. The Sharavathi, flowing over a very rocky bed about 250 yards wide, reaches a tremendous chasm and the water comes down in four distinct falls. The Raja Falls pours in one unbroken column to the depth of 830 ft.
Halfway down it is encountered by the Roarer, another fall, which precipitates itself into a vast cup and then rushes violently downwards at an angle of 45 degrees to meet Raja. A third fall, the Rocket, shoots downwards in a series of jets; while the fourth, the Rani, moves quietly over the mountain side in a sheet of foam. The Tourism Department has built steps from the viewpoint to the bottom of the hill where the waterfall can be seen from the opposite side. There are approximately 1,400 steps to reach the bottom of the hill. Agumbe is a small village located at Tirthahalli taluk of Shivamogga district. It is sometimes called ‘Cherrapunji of the South’ after Cherrapunji, in North East India that receives the highest rainfall. Agumbe is associated with rainforest conservation efforts, documentation of medicinal plants, tourism (trekking & photography) and promotion of cottage industry. Agumbe is located approximately 100 km north-east of Mangaluru and 357 km north-west of Bengaluru. The nearest airport to Agumbe is in Mangaluru. The village is near the Someshwara Wildlife Sanctuary and Kudremukh National Park. 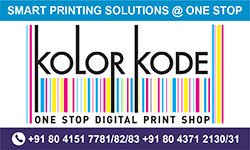 Places in the vicinity of Agumbe that tourists visit include Kundadri and Kodachadri Hills, Udupi, Malpe, Ankola, Kollur, Chikkamagaluru, Shivamogga, Sagar, Hosanagar, Tirthahalli and Keladi. Sunset Point: Sunset Point is located on one of the highest peaks of the Western Ghats on the Udupi-Agumbe Road. It is ten minutes walk from Agumbe. On a fine evening, the sunset can be seen over the Arabian Sea. In addition, there are a number of waterfalls in the locality. Barkana Falls: Barkana Falls is 850 ft in height. It is the tenth highest falls in India. The viewing point for the Barkana Falls is about 4 km from the end of the approaching vehicle track. Onake Abbi Falls: Onake Abbi Falls is 400 feet in height. Trekking for 5 km through rainforest is needed in order to reach a view of the falls. 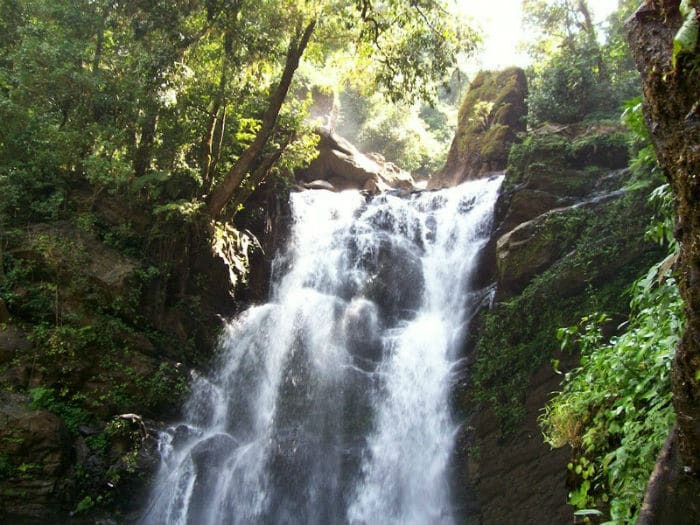 Jogigundi Falls: Jogigundi is a small water fall near Agumbe. It is about 20 feet in height. 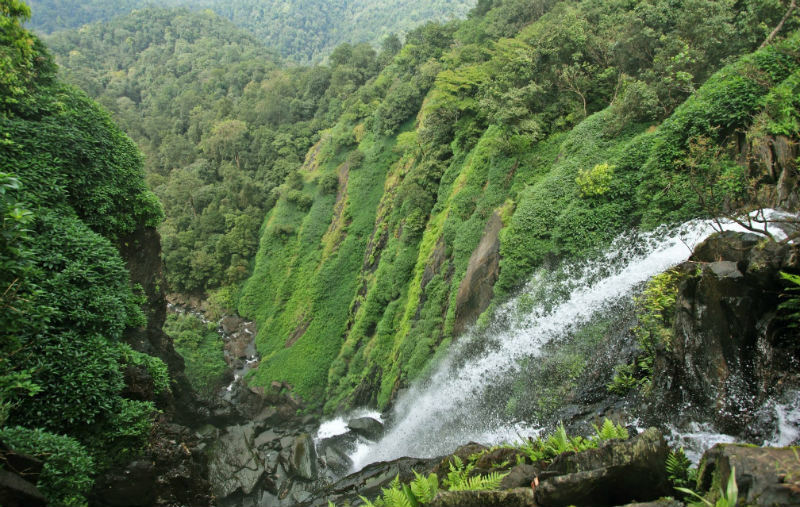 Koodlu Theertha Falls: Koodlu Theertha waterfall is located 20 km from Agumbe and is 126 ft in height. Bored of visiting the same old places in and around Mysuru, here is one of the finest picnic spots, which might just be the place to rejuvenate oneself after weeklong stress. Located around 23 kilometers from Mysuru is the tiny village known as Meenakshipura, which is home for some of the most picturesque views. There are many places located on KRS backwaters, which have been explored and over exploited but Meenakshipura remains untouched and unknown to many Mysureans. Youth, especially the college students are familiar with the ‘Blue Lagoon’, which is located around 5 kms from KRS. However, Meenakshipura is not much popular among the college crowd, as it has stayed away from commercial exploitation. The serene atmosphere of Meenakshipura is just a perfect place for weekend picnic to spend quality time with family and friends. 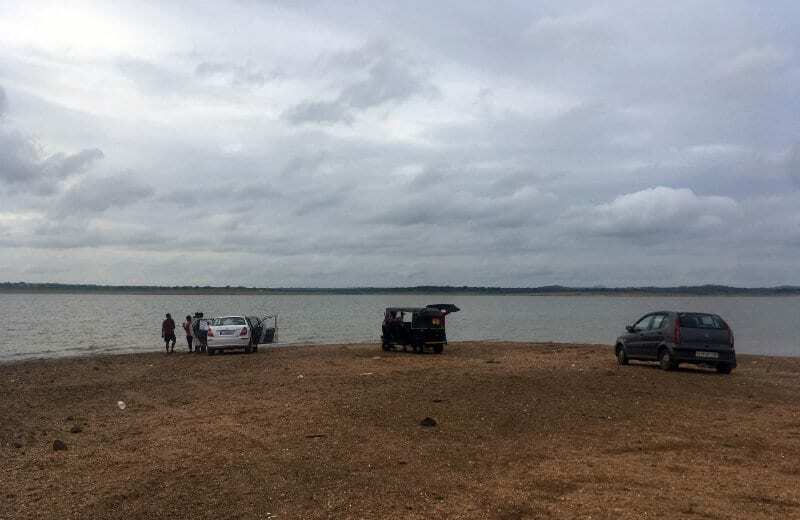 Now, that the water level has reduced drastically, vehicles can travel about a couple of kilometres into the dry bed of the backwaters making it more exciting. The drive to this place is also pleasant as one has to pass through villages that are away from city pollution and noise. For people driving to this place, a sincere advice would be to switch off the ACs in the car and drive through the lush greenery to breathe some fresh air. “We have been coming to this place very regularly. The lush greenery and pleasant weather especially during the rainy season makes this a perfect place for team outing where colleagues get to know each other well”, says Kaushik, Area Manager of a private finance company. 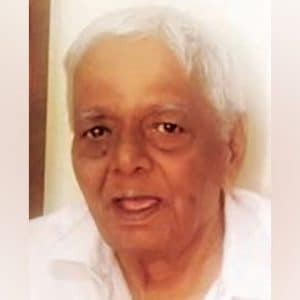 Meenakshipura has also been explored by film world with Bollywood movie Rangrez, the remake of Tamil hit ‘Nadodigal’, being shot in the location. Another speciality of this place is the tasty dishes made using fresh water fish. Locals prepare some mouth-watering fish delicacies, which are in great demand. People can also go on a coracle ride in the backwater to add to the fun part. A swim in the fresh water can also be refreshing. But, make sure that all necessary precautions are taken before getting into the waters. Meenakshipura, which is around 22 kms, can be reached on taking a right turn toward Gomtagiri just after Yelwal Bus Stand. On reaching Gungral Chathra one has to take the main road and later follow the signboard to reach the place. Carry your picnic basket and of course mats or carpets to sit together with family and friends. Make sure to retain the serenity of the place by not littering the waste and leftovers. Kuduremukha is a mountain range located in Chikkamagaluru. The name Kudremukh (Kuduremukha) literally means ‘horse’s face’ in Kannada and refers to a particular picturesque view of a side of the mountain that resembles a horse’s face. It was also referred to as ‘Samseparvata’, historically since it was approached from Samse village. Kudremukh is Karnataka’s 3rd highest peak after Mullayanagiri or Baba Budangiri. 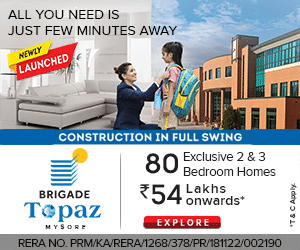 The nearest International Airport is at Mangaluru which is at distance of 99 kilometres. Kudremukh National Park comes under the Global Tiger Conservation Priority-I, under the format developed jointly by the Wildlife Conservation Society (WCS) and World Wide Fund, USA. There are about 13 trekking routes in Kudremukh ranging from easy to tough. 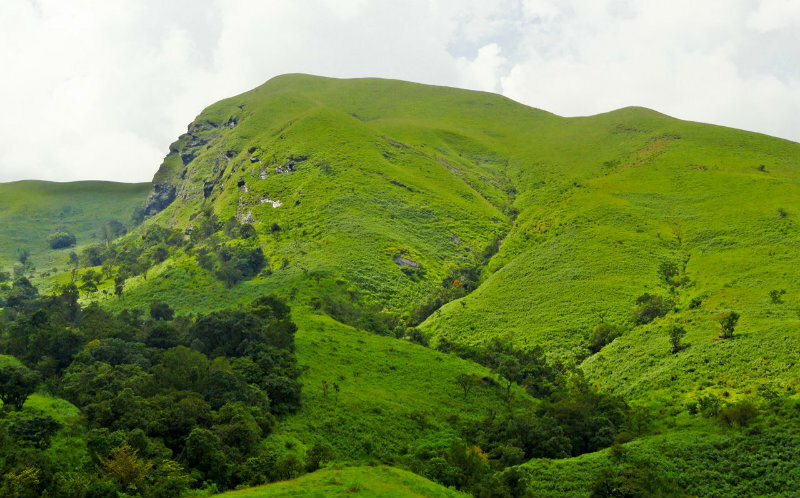 Samse-Kudremukh-Samse: The duration of this trek is around 4 days and 3 nights and covers a total distance of about 40 km. Navoor-Hevala-Kudremukh-Navoor: The duration of this trek is around 5 days and 4 nights and covers a total distance of about 60 km. Navoor-Kudremukh-Samse: The duration of this trek is around 5 days and 4 nights and covers a total distance of about 50 km. Horanaadu-Sringeri: The duration of this trek is around 3 days and 2 nights and covers a total distance of about 30 km. The Nature Camp in Kudremukh is one of the many beautiful places to stay. Hanumanagundi Waterfalls: Located 32 km from Kalasa, the waterfall spills onto natural rock formations from a height of more than 100 feet. Getting to the falls involves some trekking. The best time to visit the falls is between October and May. 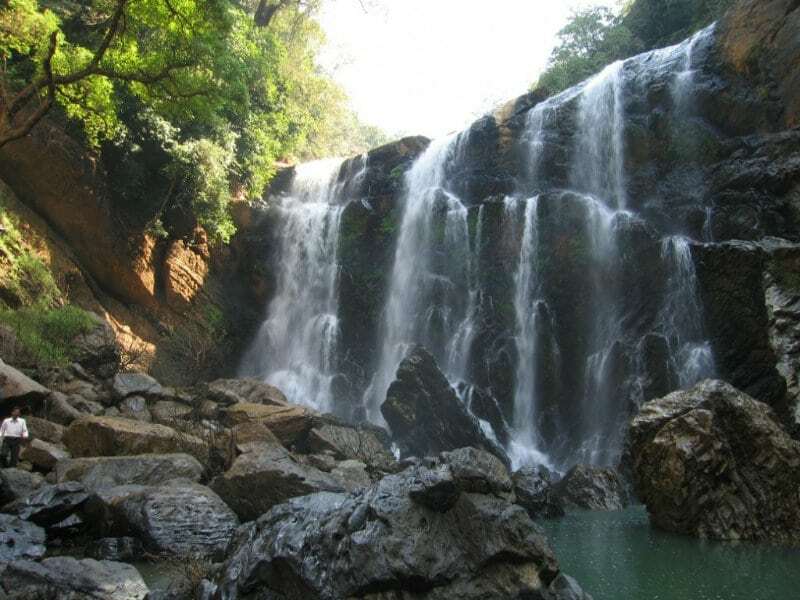 Dandeli is a town in Uttara Kannada district located in the Western Ghats region. It is a natural habitat for wildlife including tigers, leopards, black panthers, elephants, gaur, deer, antelopes and bears. It is the second largest wildlife sanctuary in Karnataka and was designated as a Tiger Reserve in 2007. The jungle is also home to several varieties of reptiles and almost 300 varieties of birds. The rapid expansion of industry has raised fears of ecological damage to the area and local volunteer groups have been formed to address the issue. Dandeli has become an attraction for wealthier and upwardly-mobile residents from India and elsewhere. The biodiversity in the forest has attracted sufficient tourism to support a number of resorts in the vicinity. The government has promoted eco-tourism with proper planning of healthy breeding of wild animals. 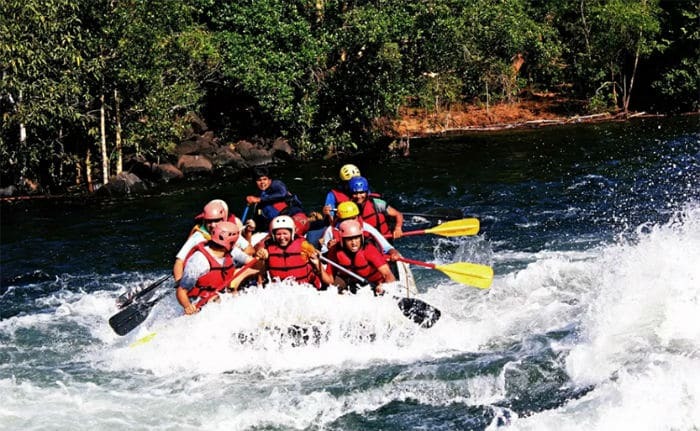 It is also an adventure sports destination and a white-water rafting destination in South India. It is one of the few locations where rafting is possible even in peak summer months between March and June. Dandeli is surrounded by natural, historic, and religious landmarks – the River Kali, the caves of Kavla, the Ulavi temple, Sykes Point and the Supa hydroelectric dam. Karnataka’s power corporation is situated in Ambikanagar (18 kilometres or 11 miles from Dandeli), where electricity is generated through hydro-power. Nagajhari power house is also there. 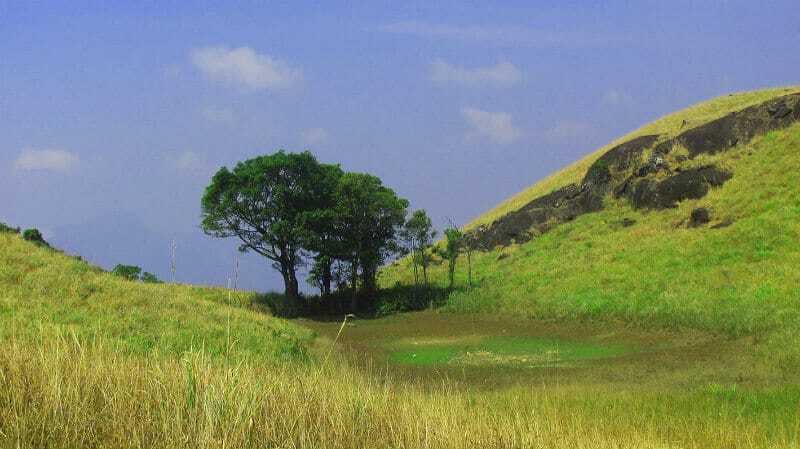 Chembra Peak is the highest peak in Wayanad, at is 6,890 ft above sea level. It is located near the town of Meppadi and is 8 km from Kalpetta. 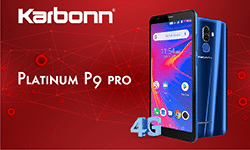 It is part of the Wayanad hill ranges in Western Ghats, adjoining the Nilgiri Hills in Tamil Nadu and Vellarimala in Kozhikode district in Kerala. Chembra Peak is accessible by foot from Meppadi. District Tourism Promotion Council provides guides and trekking equipment on hire charges to tourists. Permission from the forest office in Meppadi is required for trekking up to Chembra Peak. 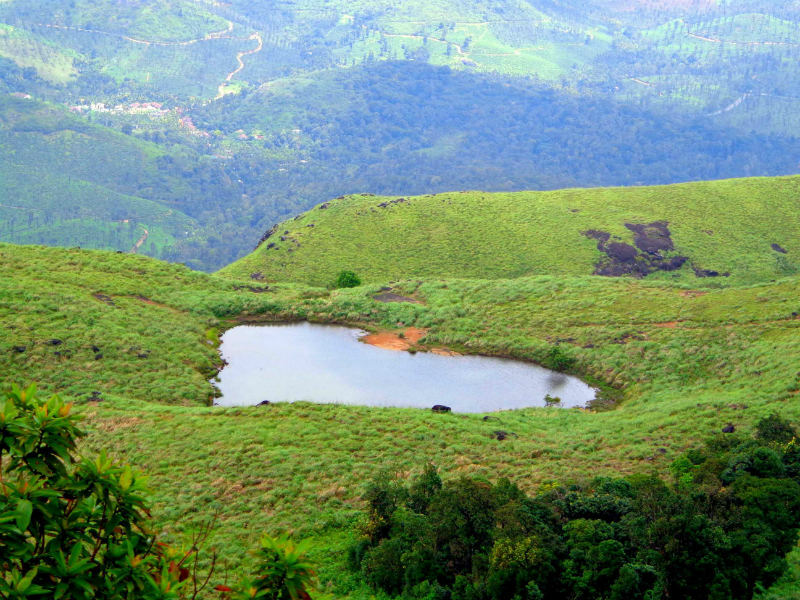 A heart shaped lake on the way to the top of the peak is a major tourist attraction. The lake is believed to have never dried up. You can find the lake halfway to the peak. The trek to the top takes three hours and one can see almost the whole of Wayanad. For people who prefer public transport, KSRTC (both Kerala & Karnataka) and a lot of private companies operate overnight deluxe buses between Kozhikode and Bengaluru. People taking buses can get down at Kalpetta and catch another bus to Meppadi. Meppadi is 10 km from Chundale, in the SH29, connecting Chundale to Ooty.